Countyimports.com is the first to once again offer a cutting edge platform for any rider to get situated in just the right machine with just the right coverage. 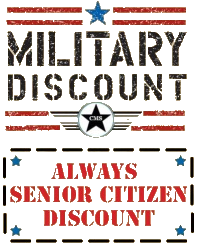 Generally based on the cost of our products, a parts only warranty is offered. 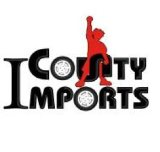 As we move forward over the years, as a team Countyimports.com continues to offer more options to meet the customers needs. Now, matched with our already longest warranty abd best ocverage in our industry. We now offer Pinnacle Coverage. This coverage is a full support Parts and Labor coverage at over 270 dealers nationwide. You are still welcome to use this warranty at any location we have, however if our location is not close to you, that's just fine, we've still got you covered. What we offer: The Pinnacle Protection Plan offers coverage terms from 2 years up to a full 7 years from the manufacturer's original warranty starting date on new registered current model year and three immediately preceding model years. Term availabilities depend upon length of manufacturer's warranty. Vehicles must have a minimum of one-year manufacturers parts and labor warranty to be eligible for any plan. You may purchase a Pinnacle Protection Plan any time during your original manufacturer's warranty.